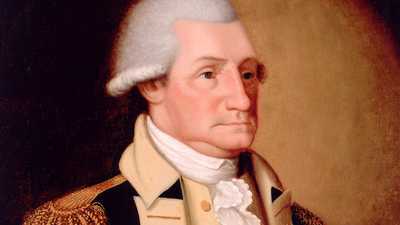 Washington was born on February 22, 1732, in Pope's Creek, Virginia. His father's death in 1744 ended his formal education. He took up land surveying, a customary means of upward mobility. In 1754, at age 22, Washington became commander of the Virginia Regiment in the French and Indian War, and famously declared that when he "heard the bullets whistle," he found "something charming in the sound." He resigned his commission in 1758 and returned to his now massive estate, Mount Vernon. Marriage to Martha Dandridge Custis in 1759 immediately transformed Washington into one of Virginia's wealthiest men. 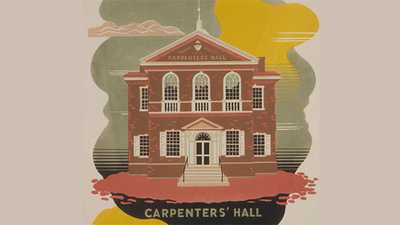 Since 1758 Washington had served in the Virginia House of Burgesses, the first representative legislature in the colonies. In 1769, after the enactment of the Townshend Acts, he organized Virginia's boycott of English goods to compel Parliament to rescind the taxes. Unfair taxation was not Washington's sole concern. With considerable land holdings -- about 60,000 acres -- in the untamed west, he believed that westward expansion would occur more rapidly if the Americans controlled their own destiny. Washington's reputation for bravery preceded him when he arrived at the First Continental Congress in 1774. The following year, noting his "example of courage under fire," John Adams nominated Washington to be commander of the Continental Army. He was unanimously approved. As a Virginian, he could help rally the South, making the war effort truly national. During the war, Washington's battle record was mixed. His greatest achievement was holding his troops together, even when morale was low and desertion high, and in setting an example for his men, and the nation, of personal sacrifice. After disastrous losses early in the war, Washington embraced a Fabian strategy, avoiding the conventional, open-field style of European warfare. Instead, he advocated surprise attack. 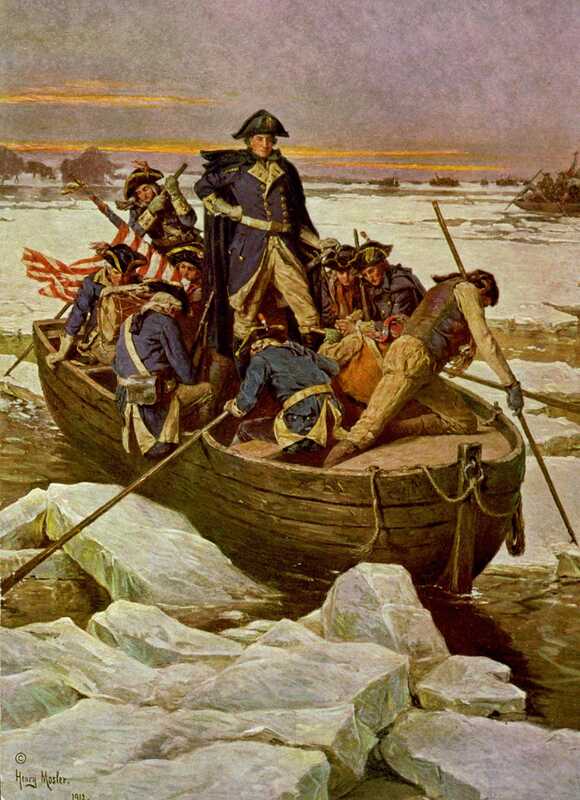 At Christmas 1776 Washington achieved his first major victory through such an attack at Trenton, New Jersey. In the autumn of 1781 he perfectly coordinated American and French forces at Yorktown, Virginia, the siege that ended the war and secured American independence. Though eager to retire at war's end, Washington agreed to lead the Constitutional Convention in May 1787. The new constitution called for a single chief executive. Washington was elected unanimously by the electoral college. After his inauguration on April 30, 1789, Washington faced the challenge of establishing the proper tone for the office. He was naturally aloof, his bearing was regal, but he was careful to keep his power in check. His actions established precedents that defined the presidency. He did not attend congressional meetings, so as not to influence the legislature, created the practice of naming a Cabinet, and exercised executive restraint. The french Revolution began less than two months after Washington's inauguration. By 1792 France was at war with Britain, and America was caught in the middle. To safeguard the new nation, Washington issued the Proclamation of Neutrality. His Cabinet and Congress were fiercely divided over the war; partisanship had entered American politics. After his first term, Washington longed to step down, but issues with France hadn't been resolved, and both Thomas Jefferson and Alexander Hamilton urged him to hold together the union in these first difficult years of the new republic. On March 3, 1797, Washington left office, setting the precedent for a two-term limit and a peaceful transfer of power. He entered his long-sought retirement "first in war, first in peace, first in the hearts of his countrymen," in the words of fellow founding father Richard Henry Lee. 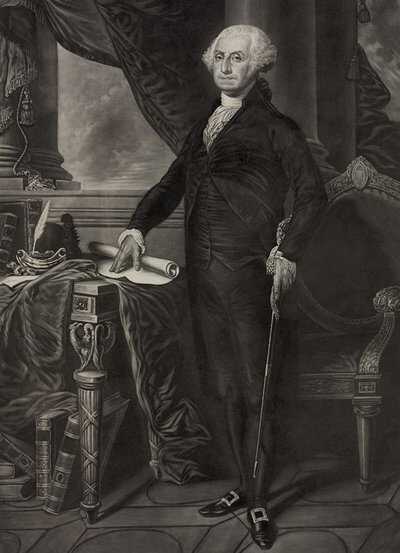 Washington died less than three years later, on December 14, 1799, at 67. The nation, President John Adams, said, "had lost 'her most esteemed, beloved, and admired citizen. ...'"
The First Continental Congress formed in response to the British Parliament's passage of the Intolerable Acts. 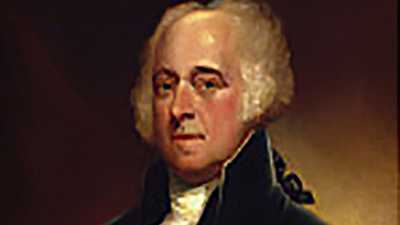 Between 1778 and 1788, John Adams served his country as a diplomat in France, the Netherlands, and Great Britain.